Wales Under 17 play Liechtenstein Under 17. Executive Chairman Gareth Jones said: “This is yet another feather in the cap of Carmarthen Town AFC. It is widely recognised that we have some of the best facilities in the Welsh Premier League and we are becoming quite accustomed to staging international matches at different levels. “Of course, next year, we have the European women’s football tournament to look forward to at Richmond Park. Carmarthen Town has a new fund-raising arm to its website. The CIME Innovation Business Surgery is being held on 20th September, 9.00am - 4.00pm at Parc y Scarlets, Llanelli. CIME stands for Creativity and Innovation in Micro-Enterprises. This is a last chance to enjoy the FREE support from the CIME Project, 25 minute one-to-one meetings are still available with our consultants on Thursday. Access advice on product development, marketing, social media, creativity & innovation, google adwords, websites, copywriting, PR, and business development. London’s first female Beer Sommeliers has been accredited the Beer Academy. 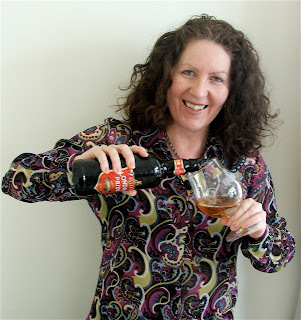 Jane Peyton is a beer writer, trainer and principal of a corporate events company which organises beer, cider and wine tastings; and beer and food matching events. Jane said “I'm part of a campaign to change people's perception of beer. For instance, did you know that beer is great with many deserts? Try one of my favourites - a beer ice-cream float. Place a scoop of vanilla ice cream in a glass of Imperial Stout and sprinkle cocoa on it - I call it a beer-puccino and it rules! Nicola Olsson is a Jekyll and Hyde petrol head. Nicola’s 9 to 5 job with Carmarthenshire Council is as a road safety officer. This wildly contrasts with her weekend manic, muddy, motoring mayhem sideways-drifting hobby of grass-track racing. After 20 years of near podium misses Nicolas has landed silverware and showers of laurel wreaths the becoming this month national champion and Ladies Champion of Champions. When she is not skidding her stuff on the dirt tracks Nicola can be operating a number of road safety schemes across the county, advising people of the safe fitting of baby and child car seats and boosters, organising cycle proficiency through schools and dressing down speeding motorists with pupils outside schools. Police and council enforcement officers are getting tough with inconsiderate parking causing chaos at the entrance to Ammanford bus station. A council spokesman said vehicles could be towed away with prosecutions following. County executive board member for transport services Cllr Colin Evans said there had been issues for some time with cars parking outside or opposite the bus station entrance. Most of the motorists apprehended admitted to parking up there while they visited the “electric beach” at a nearby tanning studio. The bus station has reopened after a considerable makeover to bring it into line with Carmarthen and Llanelli bus stations and make is safer for bus users. There are still a small amount of works to be completed before it is official reopened. 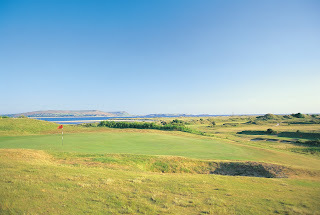 There was a strong turnout of 25 teams of four at The Ashburnham Championship Links Golf Club for a fund-raising competition for the RNLI lifeboat station at Burry Port. It turned out to be a true test of golf as the players had to play into a strong north-westerly wind which was of no help on any of the 18 holes. Trevor Griffiths, the RNLI station chairman, thanked the 100 players who took part. Thanks were extended to the directors of Ashburnham Golf Club for allowing the station to host the event at the links course. Special thanks were extended to companies that had sponsored individual holes and to the two main sponsors, Jason Rees Building Services Limited and Andrew Scott Limited Construction and Engineering based in Port Talbot. Roger Bowen, Lifeboat Operations Manager, organised the day and thanked all the helpers who had made the day possible. Huw Dixon and Tony Washer, past captains of The Ashburnham, presented prizes for the different competitions. The World Robotic Sailing Championship (WRSC) (http://www.roboticsailing.org/) is taking place in Cardiff this week, 17–21 September. Based at Cardiff Bay Yacht Club, the event is being organised by the Department of Computer Science at Aberystwyth University. The boats themselves are robots and controlled by inbuilt state-of-the-art GPS systems which allows a person to choose where the boat should go, similarly to a Sat Nav system. As well as the competition, an International Robotic Sailing Conference will also be held Cardiff Bay Yacht Club on Wednesday 19 September. The event will welcome speakers from Germany, USA, Austria, Spain, France, the USA, Norway and Israel to specifically discuss cutting edge topics concerning autonomous sailing. The go-ahead firm of Llanelli architects, the Lewis Partnership Ltd, has played a key role in the Next Steps project– a unique competition to find a new building apprentice for Carmarthenshire. The Next Steps project has seen six youngs boys competing against each other to win an apprenticeship with Gwendraeth-based building firm Lloyd & Gravell Ltd. The competition winner was Thornton Boswell, of Felinfoel, Llanelli, who recently picked up his GCSE results from Bryngwyn School. While competing for the coveted job, the six boys worked together as a team to complete a project that would benefit the community and leave a lasting legacy. The project was to create a safari themed sensory garden at Llanelli’s Heol Goffa School to benefit children with special needs. The project was designed by the Lewis Parnership. 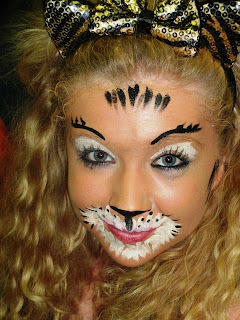 Pupils of the popular Stagecoach Theatre Arts group in Carmarthen have an amazing opportunity to take the stage in a performance of Cats in the 12,000-seat National Indoor Arena in Birmingham. The world-famous Andrew Lloyd Webber musical is being performed as part of the 25th anniversary of Stagecoach Theatre Arts in the UK. “It is a massive performance – and a massive opportunity,” said Stagecoach Carmarthen principal Liane Davies. “Stagecoach has managed to secure the rights to stage Cats on March 24 next year (2013) to coincide with the 25th anniversary celebrations. “It’s a big coup for Stagecoach nationally – and it is also brilliant news for us at Stagecoach in Carmarthen. 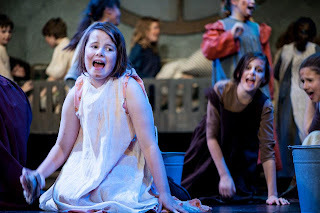 “Competition for a place in the production was tough as there are more than 600 Stagecoach schools in the UK alone and only 35 schools are being allowed take part in the show. “I am delighted to say that we have been picked as one of the schools to take part. The musical bursary fund set up to remember the man known as Llanelli’s Mr Music, Gethin Hughes MBE, is off to a flying start. The fund is already being backed by a £1,000 donation by the Llanelli-based Jenkins Bakery business. It received an extra shot-in-the-arm when the first Gethin Hughes Memorial Concert was held at Greenfield Chapel, Llanelli. “The concert was well attended and we reckon that we raised close to £1000 on the night,” said Richard Christopher, secretary of the Gethin Hughes Memorial Bursary Fund. 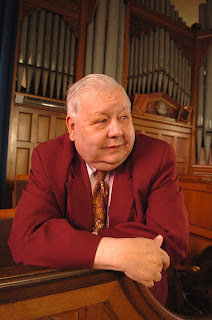 “There was also a wonderful surprise for us on the evening as we received news from the elders of Triniti Chapel, the chapel where Gethin was organist and such a faithful member. “Gethin was one of the prime movers in the chapel’s Cymdeithas Glyd (cosy society) and the elders of Triniti have agreed to earmark money left over in the Cymdeithas fund for the musical bursary prize. The next meeting of Llanelli Rotary Club will be at 1pm on Friday (September 21) at the Stradey Park Hotel. It will be a Fellowship meeting. The meeting at the Stradey Park Hotel at 7.30pm on Wednesday, September 26, will welcome Carwyn Matera-Rogers, of Carmarthenshire Theatres, as the guest speaker. The meeting on Friday, October 5 will be a business meeting. Award-winning South Wales architects the Lewis Partnership Ltd are playing a key role in the restoration of one of Llanelli’s most historic landmarks. Llanelli Town Hall is being refurbished and upgraded by Carmarthenshire Council. “As one of Llanelli’s favourite buildings, it is in need of some TLC, some tender, loving care,” said the Lewis Partnership Ltd’s managing director Philip Lewis. “As an older building, care must be taken to ensure it is properly maintained and our plan will tackle the usual routine problems which come with older buildings and prepare the Town Hall for a bright future. The Town Hall came into being after the old Local Board of Health first suggested the idea back in 1892. The popular Stagecoach Theatre Arts group in Carmarthen is branching out to help charitable causes in and around the town. “We’ve always been more than just a stage and theatre arts school,” Stagecoach principal Liane Davies said. “Getting involved in the local community is also very important to us. “The old saying is that charity begins at home and we want local charitable groups to be aware that we are there to help them for some of their fund-raising efforts. Pupils from Stagecoach Theatre Arts Carmarthen have already been asked to sing at the Radio Carmarthenshire ‘Local Hero’ awards ceremony in October. They have also been asked to perform during the Christmas activities being organised by Carmarthen Town Council to drum-up all-important festive trade for the town. Public Health Wales and Carmarthenshire County Council’s Environmental Health department are investigating an outbreak of Legionnaires’ disease in Carmarthen. There are currently three cases, and all have links to Carmarthen. All have been admitted to hospital as a result of their illness but have since been discharged. Legionnaires’ disease is contracted by breathing in droplets from contaminated water sources. It cannot be caught from another person. Investigations into the possible source are ongoing. Information has been circulated to GPs and hospitals in the area to advise them to be alert to the symptoms of Legionnaires’ disease. The Lewis Partnership firm of architects has secured its first contract with the Royal National Lifeboat Institution, the RNLI. The firm will be designing an extension to the Horton and Port Eynon lifeboat station on Gower. Lewis Partnership managing director Philip Lewis said: “We are delighted to be working with the RNLI on this project. Ancient mixed oak woodland noted for its spring carpets of bluebells. Walk to the castle for views of the Tywi Valley. You won’t fail to notice the imposing fortress of Dinefwr Castle. As you wander through the woodland, you will see among the undergrowth fossils of long gone Trilobites from 450 million years ago. It will be a case of ‘cue lights, cue music, cue action’ for Carmarthen’s leading theatre arts school this weekend (September 22). Stagecoach Theatre Arts Carmarthen is starting a new term – and the race is onto secure places at the popular group. “Demand is always high for places at the school, so this really is the last chance for some youngsters to climb on board at Stagecoach for this term, ” said the school principal Liane Davies. “We put the accent firmly on quality teaching here at Stagecoach and we limit class numbers to 15 pupils per class. “That philosophy of making sure that the quality of teaching is at the highest level does, of course, mean that we cannot always accommodate everyone. “But we have been doing our best to expand our services and that is why we are continuing our popular afternoon classes at Stagecoach Carmarthen. “The classes are for the six to 18-year-olds age group and run from 2.30pm to 5.30pm. We already have morning classes between 10am and 1pm. Kidwelly and Mynyddygarreg have been identified by Carmarthenshire Council areas that will benefit significantly from new safer community routes. Residents there are being invited to consultation events on Thursday and Friday to learn more about what is proposed and support the county’s application to the Welsh Government for grant funding. The aim is to encourage walking and cycling, a reduction in private car use and improvements to road safety. Measures can include new and improved footways and shared use paths, cycle storage, pedestrian crossings and plateaus, and general highway improvements. County transport strategy manager Simon Charles said: “Through a combination of engineering and education initiatives these projects offer an exciting and valuable opportunity to generate great improvements in terms of improving road safety, encouraging more sustainable travel and the environmental enhancements that accompany such a shift. RDP Sir Gâr will be hosting Community Grants Open Evenings in Carmarthen and Whitland this month. Registered charities, voluntary organisations, town or community councils, social enterprises and not for profit organisations all stand to benefit from RDP Sir Gâr’s Rural Community Inclusion and Innovative Communities projects and expert Project Development Officers will be on hand to advise of the grants available for community projects for the afternoon. Both projects have received funding through the Rural Development Plan for Wales 2007-2013 which is funded by the Welsh Government and the European Agricultural Fund for Rural Development. Rural Community Inclusion* offers a package of support that is designed to increase access to basic services and facilities in rural communities, and Innovative Communities* assists in the development of innovative ideas within the community. Police have found a body that they believe to be the missing person Ian Pearson from Salford, who was reported missing from the Little Haven area by his family on Wednesday. Latest news from the Jazz in the Bar team . . . Calling all Sax players : sax workshop with Chris Biscoe included in the Tues 16 October jazz event. A fantastic opportunity to play with Chris and learn more about playing together, improvisation and jazz performance. We will be running the workshop from 6.15 -7.30, with the evening gig at 8pm. One of Llanelli’s longest-serving and best-known pharmacists has hung up his white coat and retired. Hywel Evans has spent more than 30 years working in Llanelli. 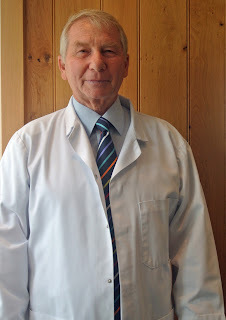 Mr Evans qualified as a pharmacist in July, 1972, so has notched up a remarkable 40 years as a registered pharmacist. He worked for Boots Chemists for 10 years before launching his own business. Together with his wife Margaret, he bought the West End Pharmacy in Llanelli from Vince and Mair Blackmore in 1982. Mr Evans opened a new pharmacy in Machynys in 1997 to serve patients of the Machynys surgery – a branch of the Ty-Elli Surgery in Vauxhall. In 2003, he moved the West End business to the nearby Vauxhall site. There were bound to be plenty of twists to millionaire Kevin Green’s latest TV programme, the Secret Interview. The Channel 5 programme shadowed two estate agents for a ‘documentary’. The first surprise was that the estate agents didn’t realise their moves were being filmed for a ‘Secret Interview’. Up for grabs was the chance to join Kevin Green’s team and become a millionaire property dealer. After the big ‘reveal’ at the end of the show, Kevin was left with the big decision of picking between 20-year-old Dave Holdway from Sidcup and 26-year-old Jamie Burke from Salford. “It was a massive decision and very difficult to make,” Kevin said today. “The two lads performed really well with the different challenges they faced on the show and it was a very close-run thing. There was, however, one final twist in store.